Park Place Sports Bar has a versatile and "down to earth" atmosphere. Our customer base covers a wide variety of people from the Blue Collar, Executive, the young, as well as the "young at heart." Enjoy an Ice Cold Tap Beer Special while watching your favorite team play on one of our 20 HDTV’s. We have in house men’s & women’s boot hockey leagues with a Rink Mate Ice Chilling System so that we have good ice all season. Get a team signed up for one of our in house co-ed sand volleyball teams that run Monday – Thursday nights. 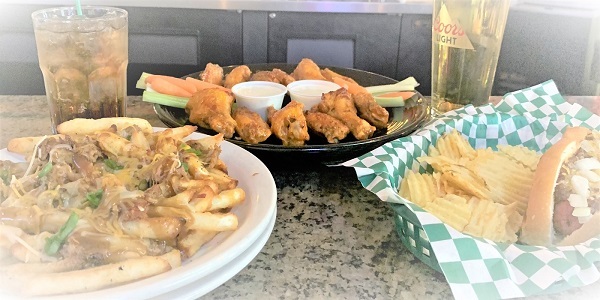 Park Place Sports Bar offers a full menu with daily specials every day. We are a proud sponsor of youth athletics and have teamed up with the CGAA (lic#01612) to start selling pull tabs, bingo Thursday’s 6:30pm & meat raffles on Friday’s at 5pm with proceeds going to Cottage Grove Athletics. Every Friday & Saturday night Park Place is working with LAST CALL CAR SERVICE to ensure our customers have a safe & FREE ride home. Last Call Car Service will bring you and your car home for FREE within 10 mile radius. Stop in for some great drink & food specials & stay for the fun. Have your party or fundraiser here in our FREE semi-private party room, ask server for details.